After meeting an accident, it’s extremely important to hire a personal injury attorney. It’s natural for victims to get caught up in their mental and physical pain after an accident. The stress of searching and finding a competent personal injury lawyer can add to the stress you’re already experiencing. Before you start hiring a personal injury attorney, it’s best to know some of the things to consider so you can make sure that you’ll be working with the best attorney. 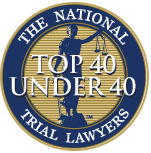 The most successful personal injury cases in the US are handled by the best in the field. Thus, you’ll need a lawyer who specializes in personal injury law and well-versed with the laws occurring in your state. The main goal of hiring an expert personal injury attorney is to provide you with assistance according to your specific needs and recommend tactics that would surely work best in your interest. It’s only the most experienced, skilled personal injury lawyer who can help your case with minimal fuss and in the shortest period of time. Then, opt for an attorney with years or decades of experience in handling insurance companies and/or healthcare providers. An experienced lawyer has all the years of experience in taking your case to the court. Bear in mind that most injury claims are settled outside of court. That said, several lawyers have never been to a courtroom. But you should consider hiring a personal injury attorney who has successfully won (almost) every case to the court. Contingency and hourly fees are two types of fees being charged by PI lawyers. The best attorney in this field only charges his/her clients through a contingency fee. This means that you’ll only pay him/her when there’s already a monetary settlement. Hourly fees can be expensive, over time. So, make sure that you consider the overall fees and expenses before you even hire a personal injury lawyer. A confident, most experienced personal injury lawyer is able to discuss with you about the facts of your case during your initial consultation. He/she will never charge you for your first consultation. When you ask a lawyer, make sure to ask how long your case is going to take. The best lawyer is able to provide you with realistic time frame. Avoid hiring a lawyer who promises quick settlements. They usually fall flat on the floor. 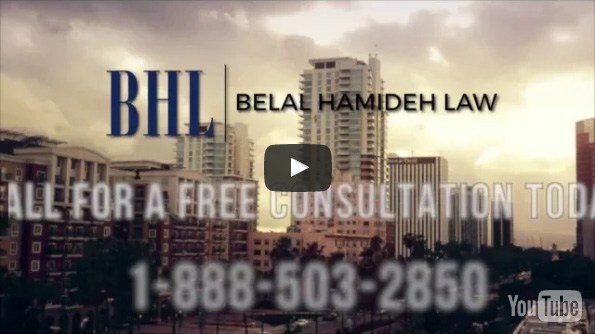 Don’t hesitate to call us to make your initial consultation at Belal Hamide Law.